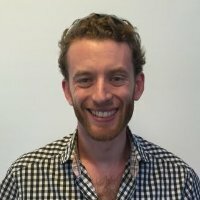 I am spending this summer in Chicago at a startup called Umby, which is a peer-to-peer microinsurance platform. 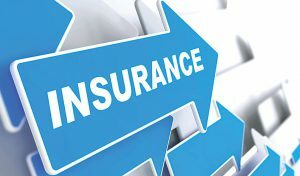 Microinsurance is just like regular insurance, except that it targets at individuals living in poverty internationally, mostly making less than $4 USD a day. 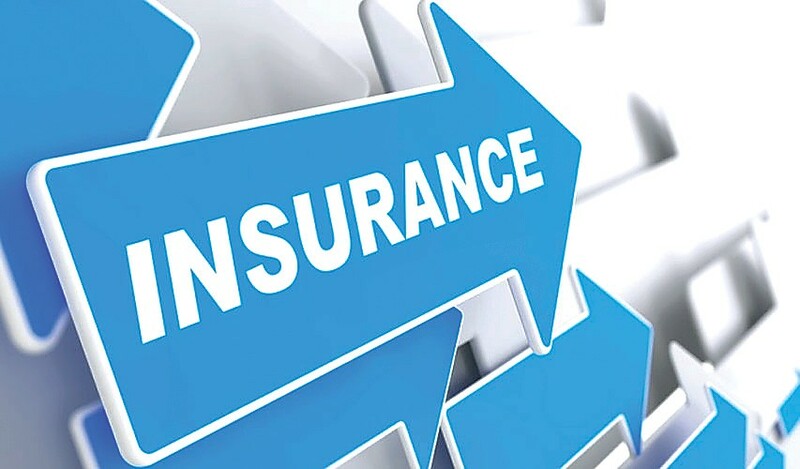 To address their needs, the premiums and coverage for this type of insurance are relatively low, but it provides an important safety net for families trying to escape the poverty cycle. Umby works by selling umbrellas to consumers, with the money then going to insure one family (of the consumer’s choice) for a full year. The main social injustice that Umby is redressing is global poverty. In developing countries around the world, individuals are especially vulnerable to the financial hardships which affect all of us at one point or another: health problems, property damage, and the like. However, for someone who is making barely enough money to get by, these hardships can be absolutely devastating. Studies have shown that individuals facing these hardships will do things like selling off their assets, dipping into (quite small) savings accounts, and reducing their food consumption. The problem is that these short-term solutions actually reinforce poverty in the long run: without money-making assets like livestock, it can be difficult to pay for the next hardship; without building up savings, it can be impossible to do economically advantageous but expensive activities such as sending children to school; reducing food consumption to the point of malnourishment or undernourishment can result in long-term health problems that will cost more money later. This is where insurance comes in. If a family has the ability to use insurance to pay for these hardships, they no longer have to deplete their assets or savings, ultimately helping to break the poverty cycle in the best cases. Further, according to the 2013 Intergovernmental Panel on Climate Change, climate change is affecting the poorest countries in the world the most. Many forms of microinsurance help protect against the power of global climate change, including catastrophe insurance and many forms of livestock or crop insurance. This is another social justice issue: the wealthiest people in the wealthiest countries have the ability to ignore the effects of climate change, but those living in poor regions around the world do not have the infrastructure or the funds to recover from natural disasters. I am specifically in charge of marketing for Umby. 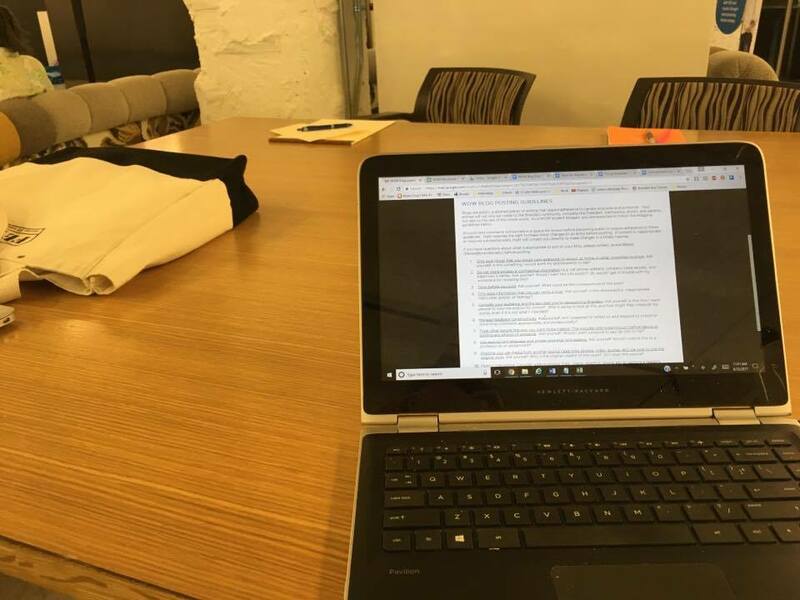 Umby will be officially launching at the end of the summer, so I am developing blog posts and social media strategies to ensure that people will hear of it and will be interested in donating or buying an umbrella themselves. Without the effective marketing efforts, we may not be able to provide microinsurance at all. 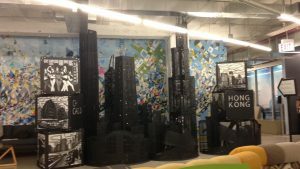 We are working inside of 1871, which is an incubator in downtown Chicago for startups, most of which are related to tech. This is a really cool environment to work in, as there are a ton of other young people working on a variety of new ideas, many of which are related to social justice. Most of 1871 is taken up by a huge, open workspace, where dozens of people sit on their laptops or talking to one another. 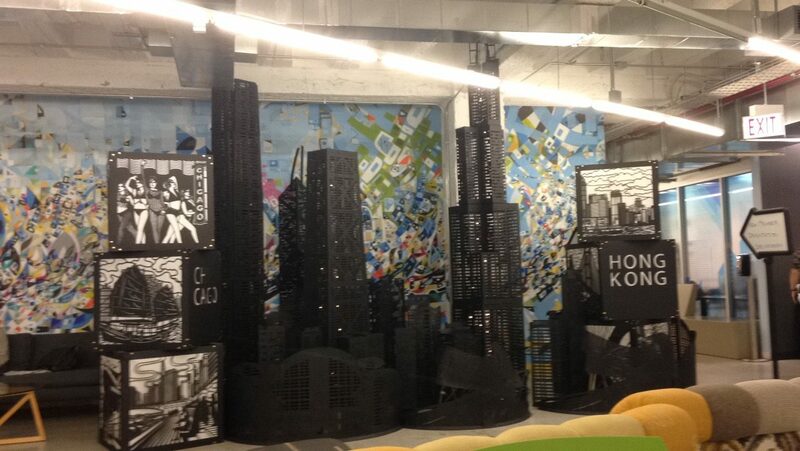 It is a very artistic environment, with one side of the room taken up by this huge sculpture of downtown Chicago. There are also murals on the walls of the building done by local artists. It is definitely way cooler than your average office. By the end of the summer, the major event that will be happening is the official launching of the company. I hope by then I will have raised awareness on social media and provided some helpful blog posts that spark interest in the mission and work of Umby, and are entertaining and fun to read. 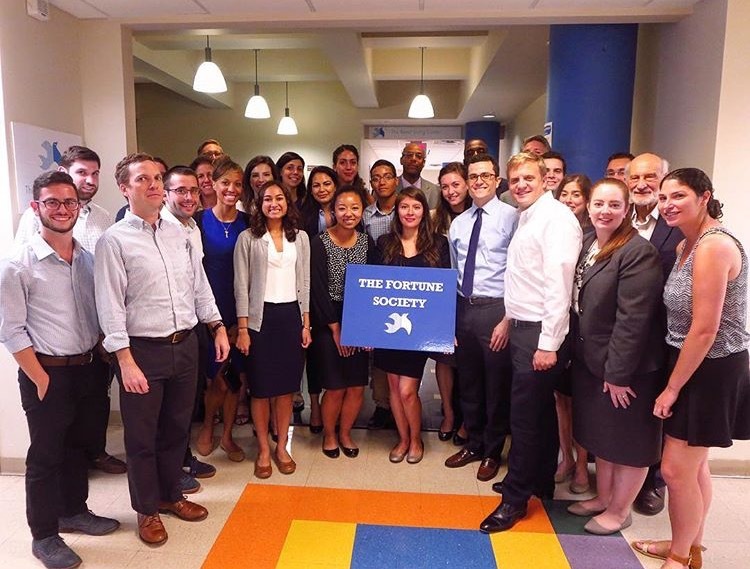 My internship this summer with The Fortune Society is one that has really opened my eyes. When people think of those involved in the criminal justice system, individuals with Master’s degrees or those fueled by intrinsic motivation typically don’t come to mind. Why not? This is because unfortunately as a society we’re taught that these people are somehow less “human” than we are and that they don’t deserve the same place in our society. One of the many things that my internship with The Fortune Society has taught me that these people have often experienced trauma, are in need of support and resources and are good people who are still trying and still hoping. 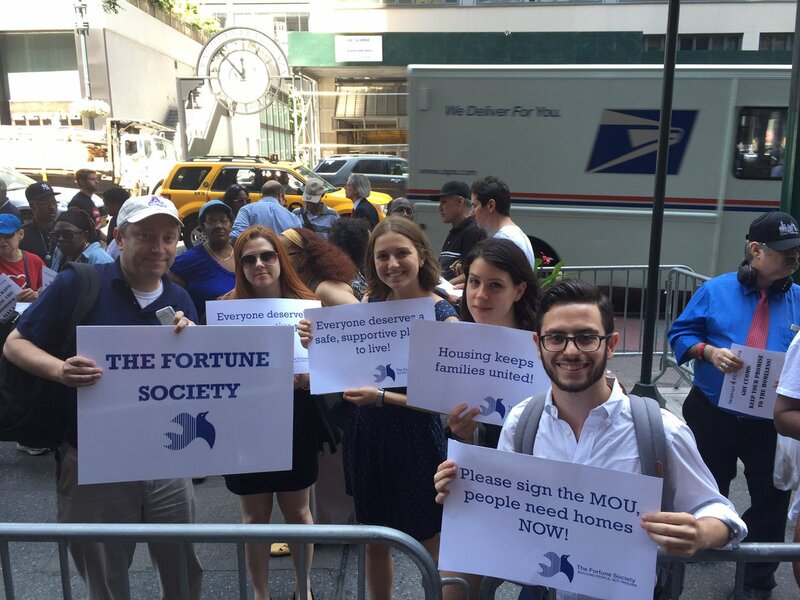 Fellow interns/volunteers and me at a rally we attended on behalf of The Fortune Society. While this internship has not solidified exactly which social justice issue I want to fight for within the criminal justice system, it has reassured me that this is the field in which I want to work. As had been my goal, I also learned about the criminal justice system and how it affects and individuals and family systems. Having the chance to see the effects this type of work can have on people is truly a remarkable and humbling. One moment that immediately comes to mind was how thankful a group of veterans were after we held a focus group to help improve policies that create reentry barriers for them. This moment was such a fulfilling one because I didn’t realize how much of a toll veterans can face coming out of the criminal justice system until I had a chance to sit and listen to folks and shaking their hands. One thing I realized about myself this summer is how privileged I am, and how privilege operates. The fact that I have a home, access to food and the ability to pursue a higher education – and that I can afford basic luxuries such as having a phone and leasing a car – are now things that I have a renewed understanding of because I know that so many people do not and will never have these things. The participants of Pro Bono Day, an event Fortune holds to educate attorneys on the programs they have and the advocacy work they do. If someone is getting an internship within the criminal justice system non-profit sector, I would advise keeping an open mind, because the stories you’ll hear about an individual will far surpass the rap sheet someone has to their name. 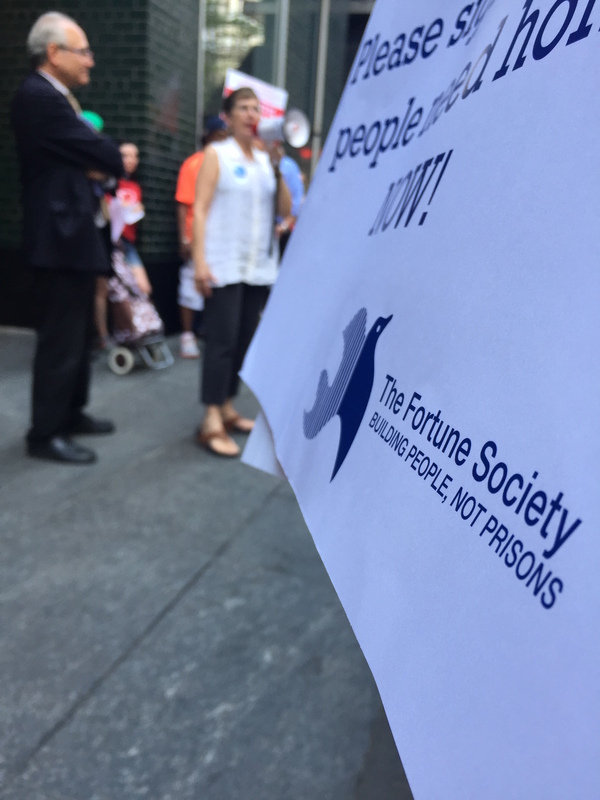 As the founder of The Fortune Society, David Rothenberg often says, “the crime is what people did, not who they are.” If someone is fortunate enough (no pun intended) to secure an internship with The Fortune Society, I would recommend to voice your opinions and don’t just be a yes-man. Your opinions will be appreciated! 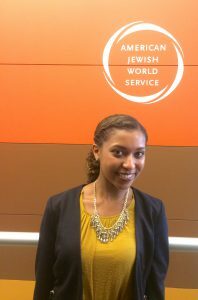 If you want to learn more about my experience at Fortune or are interested in interning there, here is the link towards the Brandeis Internship Exchange, and this is my email. One thing of which I am proud that I did this summer was helping to make a mere dent in reforming the criminal justice system. Seeing and hearing first-hand how this unjust system can affect not only the individual but their family and even community, a whole other dimension of the justice system unveiled itself. I think it’s a dimension that needs to be discovered through hearing someone’s story from their mouth, not reading it in a newspaper or even reading this blog. I can’t believe how fast my ten weeks at Rosie’s Place have flown by! I am so thankful for the opportunity I had interning there and for the amazing staff who helped and supported me through everything. All of my expectations about the internship have been exceeded and I am surprised how much I have personally grown because of the work I was doing. All day at Rosie’s Place with fellow interns. At the start of my internship, my four internship goals were to gain a deeper understanding of poverty and oppression from the women who come to Rosie’s Place as well as the root cause of these conditions; to learn more about who are poor and homeless women in Boston and what circumstances brought them to Rosie’s Place; to develop a greater sense of responsibility and ability to work to bring about social chance and equality; and to better understand how a medium-sized non-profit operates. My two department goals were to learn how to communicate effectively with all the different people that I encounter and to learn to take more initiative as I get more comfortable with the front desk. I am happy to say I did meet my defined goals through my daily interactions with guests and attending direct service meetings, Social Justice Institute seminars, and weekly intern meetings. 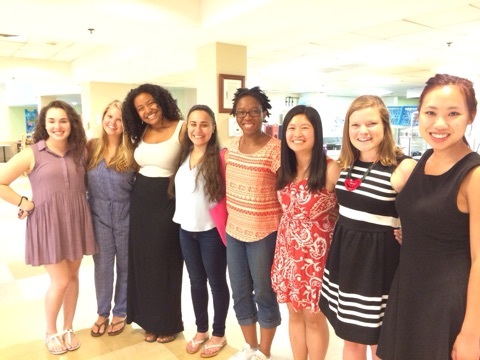 This internship has really helped me understand and see what it is like working at a non-profit and in direct service. 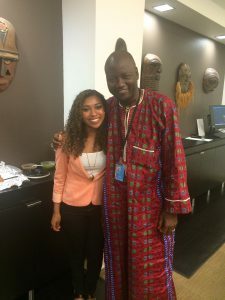 Before the internship, I did not know that advocacy was a potential career option, but I have also learned that direct service is not the only path in social justice work. The success of a non-profit like Rosie’s Place is how multiple different departments work together toward finding solutions to poverty and homelessness on a small and a large scale. This summer in the workplace, one of the biggest lessons I have learned is how to find my voice to be more assertive. I also learned more about my levels of comfort as an introvert working such an extroverted job and how to set boundaries for myself. My advice to a student interested in an internship at Rosie’s Place is it is completely okay to feel overwhelmed at first but you will always be supported by a great staff. The front desk staff members were there whenever I had questions and always had my back. 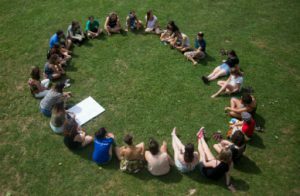 My advice for a student interested in this field is the importance of self-care, understanding that the work is difficult and may lead to burn out if you do not set boundaries or if you bring your work into your personal home life. Volunteering is a great way to start getting involved. This summer I am most proud of the personal interactions and connections I was able to make with guests, staff, and interns at Rosie’s Place. I very much felt included in the community and was able to share my ideas and contribute to projects that will exist even after I have left. The act of being present every single day made a difference in helping and talking to the guests because we are not just providing services for poor and homeless, we really care about our guests and finding solutions to end poverty and homelessness. Just in my time with The Fortune Society thus far, my experiences have already far surpassed any and all expectations I held for my internship before it began. The people I work for and with are some of the most genuine and driven individuals I’ve ever encountered; their unremitting desire to help others, despite the constant uphill battle, is a truly remarkable trait that makes this organization one-of-a-kind. In my contact with clients and staff thus far, one thing has become abundantly clear: a lot of people take a lot of things for granted. The fact that people can drive, gain employment with no clear discrimination, or even obtain individual housing or food, is now something I consider to be privileges rather than rights. To contextualize this idea, about a month ago I took a client to the Human Resources Administration to receive his food stamps benefits but was told he did not qualify due to his citizenship status (despite being in the country legally and even showing the staff proof of his legal status). Another humbling event, or rather sequence of events, was a New York State Assembly hearing I attended in which the president of Fortune, JoAnne Page, testified along with others concerning housing barriers encountered by those with criminal justice system involvement. 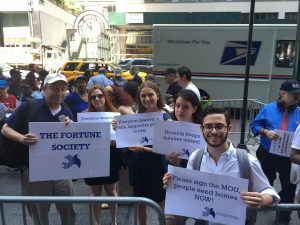 Within a couple weeks of the hearing, I attended a rally outside New York Governor Cuomo’s office to protest his reneging on a promise to construct 20,000 new supportive housing units over the next fifteen years with 6,000 of those coming in the next five. This was an issue that was explicitly mentioned by every individual who testified in front of the Assembly members.More information on his original promise is available here. Rally outside Gov. 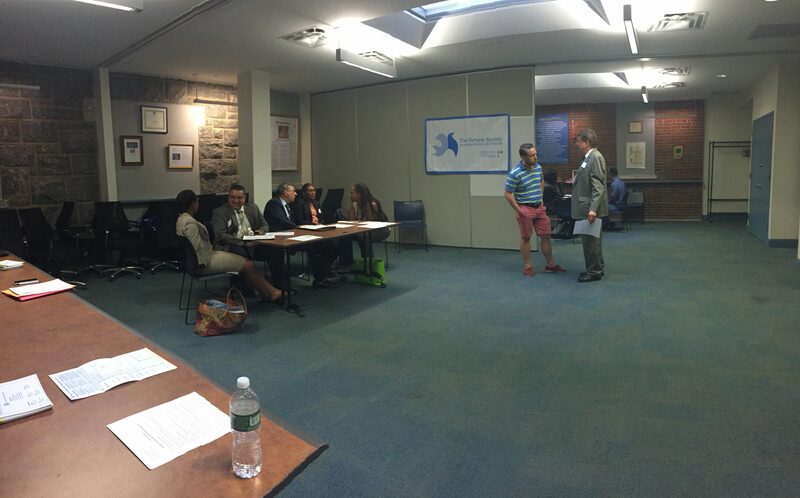 Cuomo’s office in New York City surrounding supportive housing issues. 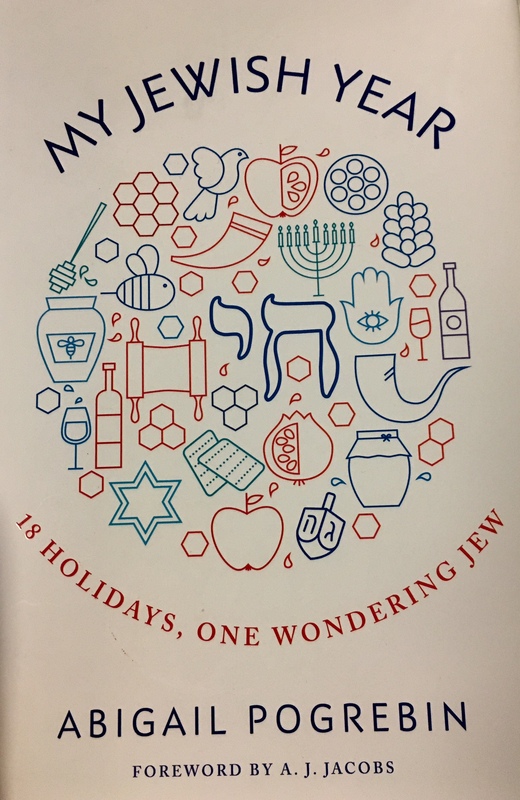 This summer, disregarding the obvious differences from my academic work, has contrasted from my experience at Brandeis because I’m able to observe concepts I’ve learned as theoretical, abstract ideas as real issues that impact real people. One particular course I took this past semester has really affected the way I perceive my experience with Fortune so far. 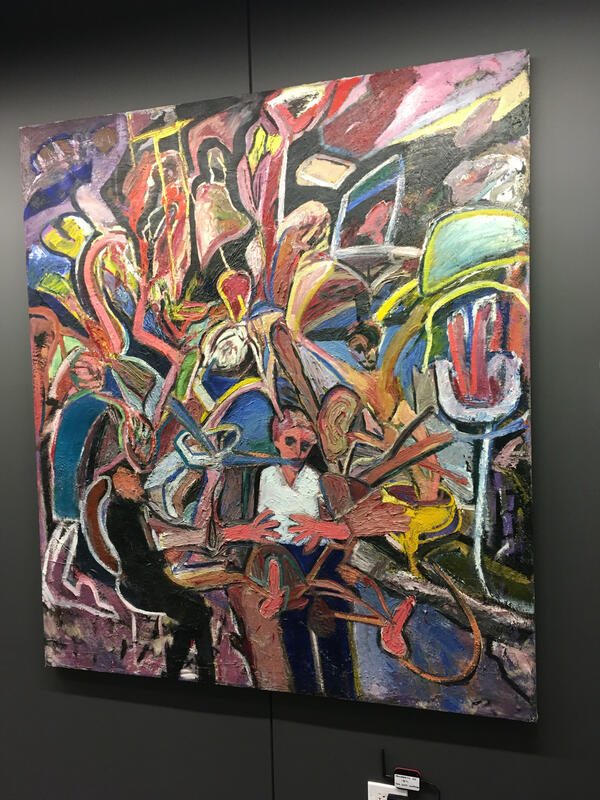 As a seminar-styled course, we explored the ideas of justice and punishment in various fashions, including through historical context, literature, and even from a philosophical point-of-view. I find that I’m able to apply the concepts I’ve learned from this course to further delve into the intricate issues regarding the criminal justice system. This is from an initiative Fortune held to inform their clients of their voting rights. I’ve gained many things from my internship so far, but one of the most applicable to my future, whatever it may hold, is learning how to advocate for those who can’t do so for themselves. 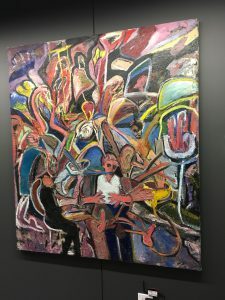 In attending numerous events that included a call for action, the speakers have often taken personal experiences and applied them to others’ issues and subsequently systemic issues. I find this to be a particularly effective because it takes an issue and makes it real, and one you can’t ignore. I’ve also learned how to organize events to conduct studies. 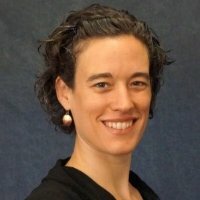 Currently, along with others in the policy department, I’m coordinating a focus group to explore the unique needs of veterans with criminal justice involvement. You can find out more about this project here. My experience with The Fortune Society, even though I still have a bit to go, is undoubtedly an unforgettable experience that I will be able to apply to my life in the years to come. I’m excited to see what’s in store for me for the rest of the summer! The front doors of Rosie’s Place located at 889 Harrison Ave in Boston. 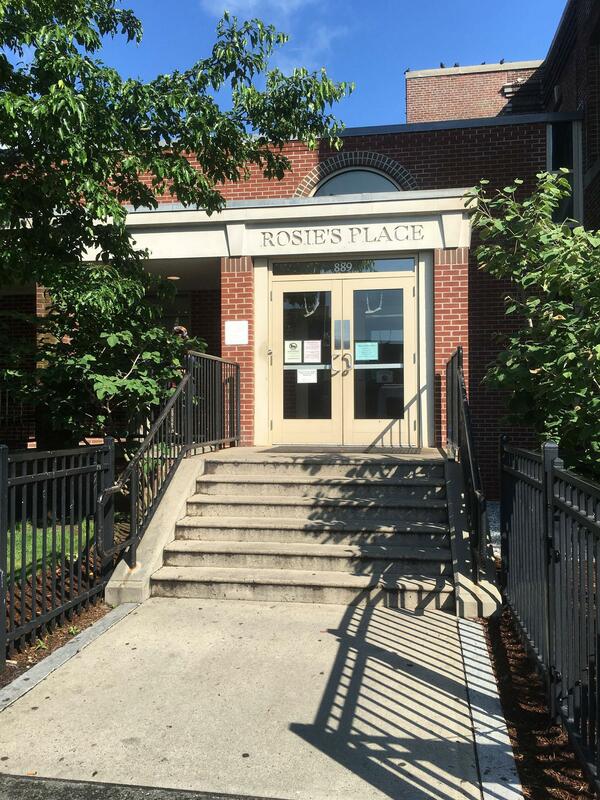 This summer I am working at Rosie’s Place located in Boston’s South End. Rosie’s Place is a sanctuary for poor and homeless women founded in 1974 by Kip Tiernan as the first women’s shelter in the United States, with the mission to provide a safe and nurturing environment that helps guests maintain their dignity, seek opportunity, and find security in their lives. Rosie’s Place provides a wide range of services and support for women including meals, emergency overnight shelter, education, advocacy, and many more found in the directory of programs and services. One of the first things I learned about Rosie’s Place during my phone interview and reiterated during my first day was Rosie’s prides itself on being a sanctuary – not just a shelter – for women and being there to help with the needs of the guests who walk through the doors. 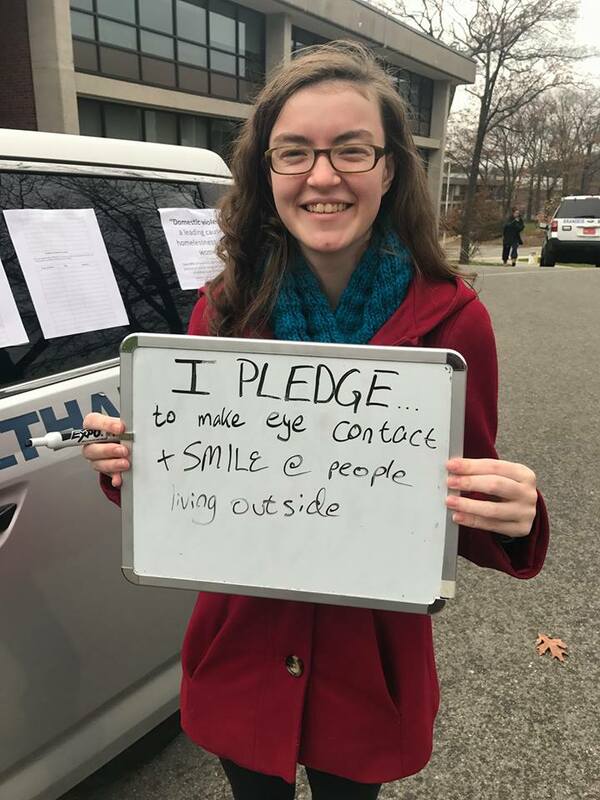 Rosie’s is committed not only to help guests and their needs on the day to day basis but also working in public policy to change laws to bring social change in issues relating to poverty and homelessness. 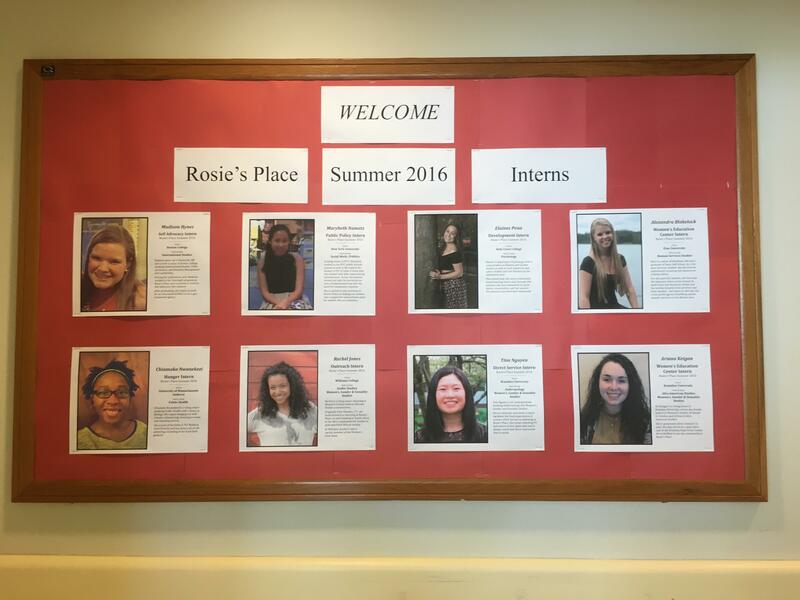 My first week at Rosie’s as one of the eight summer interns (including Ari Keigan ’18) was overwhelming but very rewarding. I am in the Direct Service department and am on the front lines helping guests at the front desk. As the first point of contact for guests, I work to create a warm, friendly, welcoming, and supportive environment and learn about the needs of the guests and direct them to how Rosie’s can help. I have covered the front desk before at my job at the Office of Undergraduate Admissions, but I had not expected how busy and demanding it would be. It truly requires me to be flexible and be able to multitask. The bulletin board with bios of the summer interns posted for the community to see. 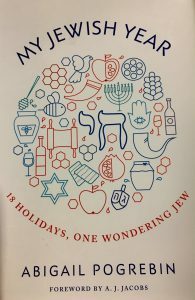 For example, some of the tasks I am responsible for include answering questions in person and over the phone sorting, organizing and checking mail for the guests, and helping guests sign up for showers, laundry, phones or computers. During my first week I have already experienced having to answer the phone while organizing mail and politely asking a guest to wait before I can help them all at the same time. At first I was quite intimidated working at the front desk because I was afraid of giving out the wrong information but with the help of my supervisors, I was encouraged to ask questions and assured that it was okay if I put people on hold because I was not required to know all the answers right away. I am grateful as part of my internship, all summer interns participate in a series of seminars that explore social justice issues on Friday afternoons. During our first meeting, we got the chance to listen and discuss how the week went in our individual departments. Two points we had discussed were checking our own privilege and wanting to help as much as we can but learning how to say no. We also discussed the four main goals of the internship and our two individual department goals. The four internship goals are to gain a deeper understanding of poverty and oppression from the women who come to Rosie’s Place as well as the root cause of these conditions; to learn more about who are poor and homeless women in Boston and what circumstances brought them to Rosie’s Place; to develop a greater sense of responsibility and ability to work to bring about social chance and equality; and to better understand how a medium-sized non-profit operates. 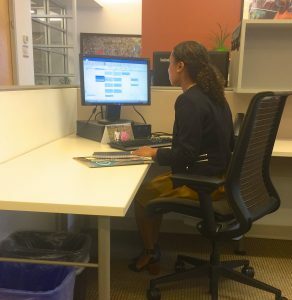 My two department goals are to learn how to communicate effectively with all the different people that I encounter and to learn to take more initiative as I get more comfortable with the front desk. The work that I am doing is difficult but it is work that needs to be done, and I am excited for what is more to come.